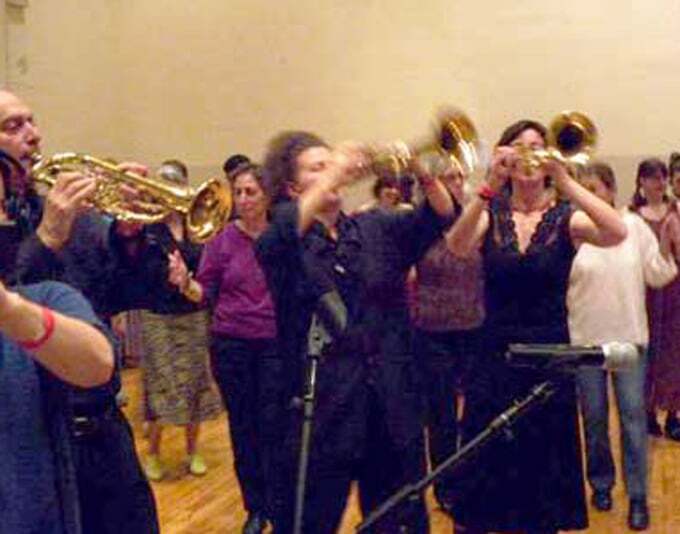 Catherine Foster has been performing music from Southeastern Europe for over 30 years and has been playing trumpet, clarinet, and saxophone with Borozan Brass Band, Zlatne Uste Balkan Brass Band, the Yuri Yunakov Orchestra, Ansambl Mastika, Kavala Brass Band, and and Mountain Lions. She traveled with Zlatne Uste to the annual festival of brass bands in Guča, Serbia in 1991, 2003, and in 2010 for its 50th-anniversary festival. While there she worked with members of the Zlatni Prsti Orkestar, Duvački Orkestar Dejana Avdića, and Vranjski Biseri Orkestar, as well as with Nešat Zekirov and Nizo Alimov. 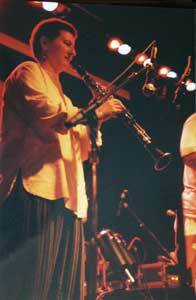 In 1996 Catherine began studying with Yuri Yunakov, Bulgarian Roma saxophonist extraordinaire and NEA National Heritage Fellow, and performed with his ensemble for a number of years, accompanying him in the acclaimed Gypsy Caravan Tour of the U.S. in 1999. 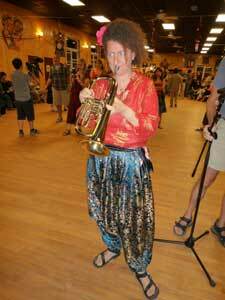 Catherine has taught at the East Coast Balkan Music & Dance Workshop and at balkanalia! She continues to perform both nationally and internationally and her discography includes three recordings with Zlatne Uste, three recordings with the Yuri Yunakov Ensemble, and Ansambl Mastika’s recording Gde Si, Bre?. The class will perform with the Brass Band at the student ensemble night, but participation is not mandatory. Repertoire will be taught by ear, but I will also bring notations. We will be working on repertoire that will also be taught in the Brass Band ensemble. The class will perform for dancing at the student ensemble night, but participation is not mandatory.